Senior six vacists/freshmen to be always have a hard time deciding which University they would like to join. 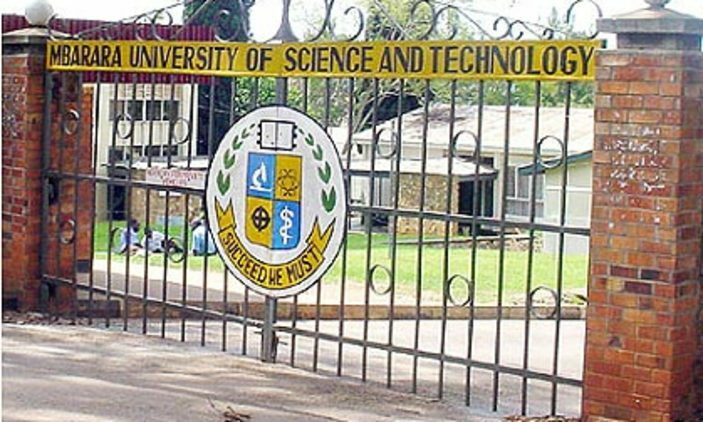 It is after an unknown secret that many of the Universities are alike with Makerere University. 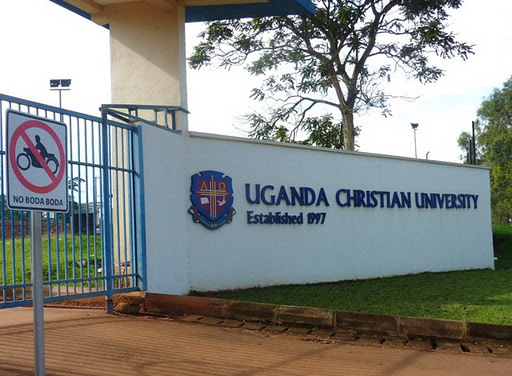 And to those few vacists or anyone who would like to know about the surroundings of UCU and the campus itself as we are drawing closer to the opening semester,Here is an eye opener about Uganda Christian University Mukono. These are the ten things you will either love or hate about it but you just will not find in other Universities. 1. If you are looking for a University whose guards you will get along with, probably bribe and even become friends with. This will come as a disappointment but UCU is not the place for you. This University has some of the toughest guards and have one of the most strict security checks among Universities in Uganda. To cut it short, they are not looking for friends rather they only care about their jobs! 2. For all the ladies and gentlemen who love taking photos or who just want appetizing photos for their social media accounts, you will have bagged the right University by going to UCU Mukono. With a basketball pitch to die for and a gorgeous fountain right next to the pitch. We guarantee that your photos will have people believing you have some experience in photography or at least really look good in person which is sadly not always the case. 3. The rules for the students who sleep in the University halls! I know many of you are probably wondering how different can a University’s rules about its halls be from the rest. Well this will either impress or annoy you but the gentlemen of Nsibambi which is the boys hall at UCU can only stop at the gate of the ladies hall known as Sabiti and Vice versa as the ladies can also only stop at the gate of the boys hall. It is unacceptable for a male to be in the ladies halls or a lady to be in the males halls! Yes, I also feel equal dislike for this particular rule. 4.Graced with shuttles,vans and buses for each faculty,UCU provides shuttles or let’s call them buses for each faculty,we are talking about 6 facilities and that is one of the best experiences as a student because you don’t have to struggle with transportation to any other universities for games or tournaments and to destinations for tours and fieldwork study.This shows that every department has a capability to use transportation as means. 5.It has one of the largest library but that’s not the point.The Elevators that run through to the highest floor that students love flooding so as to avoid the staircases are everything and with that it has a proposition to install other elevators on the different lecture blocks to make it easy for students to reach the highest level in time for their classes.This will be done soon in 2019 and yes, good bye to the long outspread staircase that has been giving students morning sweats and unnecessary fatigue. 6.Because UCU is a unique institution of its own, it provides students with passbooks that can only be held by the UCU scholars while other universities have students cards,examination cards,students ID among others. A passbook is also important in the premises of UCU because it works as a gate pass, shows that one is a current student of the institute, and also used to show that payments for fees have been cleared completely before sitting for examinations. 7.Safety is key and that means so is the health of the students. A well built and equipped hospital called Allan Galpin is among the structures of UCU and it attends to all emergencies and gives first aid,actual medical attention to all students. That’s why UCU kids are more than healthy and strong to keep up with their activities hand in hand with the favorable meals that they are served from Monday to Sunday each day with a different menu. For those that love food you shouldn’t be thinking twice. 8.When it comes to dress code UCU doesn’t tolerate any kind of outfits. Those that prefer showing too much skin,wearing lots of makeup,having crazy hairstyles sorry to say but UCU is not the place for you. Just as it states Christian University, decency and simplicity should be maintained. Before the first day, the rules and regulations give one a constant reminder about how to dress. When it comes to the gents; little skinny pants,untidy hairstyles cannot have one get close to even the gate/entrance.This has helped groom ladies and gentlemen from UCU in one way. It is believed UCU has the most well maintained university students in the country. 9.if you are looking for a peaceful and calm environment to study, I am glad to inform you that UCU is the place. With outdoor reading carriers spread throughout the compounds from the dining hall to near the library,there is plenty of room to have personal reading or even have a break to relax but in total silence and peace. Unlike other universities, UCU doesn’t require someone to be on standby incase of a riot or demonstration outbreak. This is because such things are only imagined and uncommon and that just humbles down all the troublesome and chaotic students in one nutshell. 10.Lastly,fellowships and community worship is a routine every student will need to adopt to.This usually happens on Tuesday for an hour and may not be compulsory but it’s one activity to attend so as to improve on the spiritual awareness and growth as a student in a Christian founded University. Therefore, with all that has been said, I am now guessing that admission forms are going to be thrown away,used to make rolexes and chapati due to the cautiousness at UCU but trust me there is lots of fun surrounding all the rules and guidelines however I will leave that for you to witness.